Photo © copyright Elliott Landy. All rights reserved. 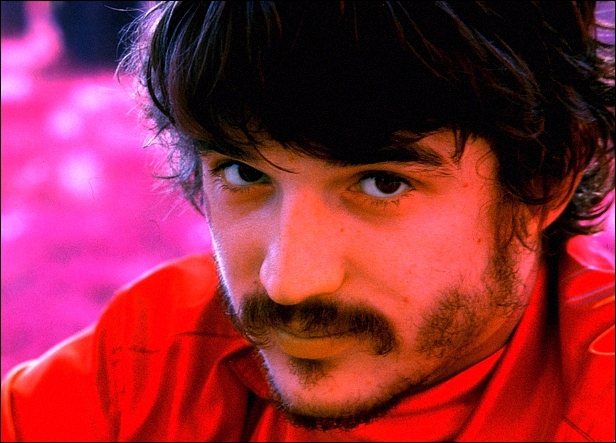 69 years ago, on December 29, 1943, Rick Danko was born. He is deeply missed. The music will live forever. New Midnight Ramble Date, January 26, 2013, with guest Robert Earl Keen. "Mini Interviews 2012: Adam Gustavson"
A Merry Christmas and a Happy New Year to all Band fans! Added Weezer's 2008 version of "The Weight" to the list of The Band covers. Their take on "The Weight" is really good, check it out on YouTube. Thanks to Andrew Casey for pointing us to this one. "The Band's Garth Hudson is at work on a new project, marking his 75th year"
"Best of November 2012: Readers pick Garth Hudson, Monkees, King Crimson, Beatles, Aerosmith"
Garth Hudson on YouTube: "Genetic Method/Chest Fever". This is from the "Love for Levon" concert in October, where Garth made a few appearances, to the biggest ovations of the night -- a fitting tribute to the only original member of the group on the bill. Great article in the latest Roll Magazine: "Dues Paid, Jay Collins Hits His Mark with 'Rivers, Blues and Other People'" -- about Jay Collins who was playing sax with Levon Helm on the road and at Rambles until Levon passed. Jay is married to Levon's daughter Amy. You may want to sign this petition for Capitol Records (and a few others) to release a complete document of The Band live on the Festival Express tour in Canada in 1970. "Festival Express Radio Documentary" -- one-hour radio documentary about Festival Express for the program DNTO on CBC Radio One, 2000, assembled, written and voiced by Eric Rosenbaum. Added a drawing of The Band and Dylan by Scott Richardson. More Jim Weider gigs for December and January have been announced at jimweider.com. PBS aired an episode of their documentary series American Masters last week, titled "Inventing David Geffen" (the founder of Asylum Records and entertainment mogul). Robbie Robertson was interviewed for the program, discussing a trip to Paris that he and his wife, Dominique, took with Geffen and Joni Mitchell. The trip inspired Joni's song "Free Man in Paris." A video clip with Robbie from "Inventing David Geffen" is available from pbs.org. "Planet Waves FM : Rob Fraboni interviewed by Eric Francis" -- Fraboni engineered and produced several of The Band and Dylan's '70s albums. Very special event at Levon Helm Studios: Jimmy Vivino & The Black Italians, 2 Nights! Rehearsal - Friday 11/30, Live CD Recording - Saturday 12/01. Robbie Robertson is one of the scheduled guests for Eric Clapton's Crossroads Guitar Festival in April 2013 in New York City. Thanks to Tom Wilk for the update. From Rolling Stone: "Wilco's Nels Cline to Play Eric Clapton's Role at 'Last Waltz' Tribute Show" -- recreation of The Band's farewell concert set for San Francisco this weekend. "The Band's Garth Hudson adds to the mystery of Nazareth reference in 'The Weight'"
"Keep It Goin': Losing Levon And Giving Thanks"
"We had to return to it, and go on: Garth Hudson remembers the fallen voices of The Band"
"Interview: Garth Hudson, co-founding member of the Band"
Two tracks from Amy Helm's upcoming solo album are now available from SoundCloud. Beautiful. "Ain't In It For My Health: A Film About Levon Helm to be Released in Theaters Across North America in 2013" -- from Vanguard Records. "Documentary about Levon Helm set for release next year, 2013" -- from levonhelm.com. "Professor Louie and the Legacy of Rick and Levon" -- new article at jambands.com. From the current issue of Modern Drummer: "Randy Ciarlante -- Levon Helm's Latter-Day Right-Hand Man" -- featuring interviews with Randy and Butch Dener. "John Donabie announced as 2013 inductee to Canadian Broadcast Industry Hall of Fame"! Added photos of Garth sitting in with David Kraai, from December 2011. There are also live mp3s of some of the songs from the sit-in at davidkraai.com. From Rolling Stone magazine: "Jakob Dylan, Roger Waters Lead Sweet 'Love for Levon' Tribute to Levon Helm"
With members of The Band, Levon Helm Band, (now Midnight Ramble Band) & Dirt Farmer Band: Jim Weider, Randy Ciarlante and Byron Isaacs. Details: Jimmy Vivino (Conan,The Fab Faux) and Garth Hudson (The Band,The Last Waltz) are celebrating The Last Waltz 36th Anniversary at Keswick Theatre on Thanksgiving weekend! They will present SONGS of THE BAND from the first four albums and The Basement Tapes with members of The Band, Levon Helm Band (Midnight Ramble Band), and Dirt Farmer Band: Jim Weider, Randy Ciarlante and Byron Isaacs. Jimmy Weider says: "The songs of The Band need to be played and heard and Garth Hudson needs to be seen to be believed! He's a legend, a gentleman and a master musician." Jimmy Vivino and Garth Hudson are having a great time! Mr. Hudson turned 75 this year and celebrations are following him around the globe! It was 50 years ago this year that Garth became a founding member of The Band that developed into a deep eternal brotherhood that continues to evolve through all of us. Mr. Hudson also lost a dear friend, Bandmate Levon Helm this year, the last of the three voices in The Band, the great storyteller, and drummer par excellence. We are here to witness and celebrate the flow of the blood from the past into the future. "The music of The Band must pass through you into the future. Be a witness Keep buying tickets to 'Keep It Goin' at the barn, the farm and Philabundance! On behalf of Mr. Jimmy Vivino, Mr. Jim Weider, Mr. Randy Ciarlante, Mr. Byron Isaacs, Sister Maud Hudson and myself, Thank you and Keswick Theatre from the bottom of our hearts!" A portion of the proceeds benefit Philabundance and Levon Helms "Keep it Goin'". New article/review from Adam Betley: "A Celebration of Richard, Rick & Levon"
From The New York Times: "A Barn-Raising Rocks a New Jersey Arena"
From the NY Daily News: "'Love For Helm' concert draws galaxy of stars for rockin' tribute "
"Love for Levon concert: Rock, roll and reflection"
Video: "Musicians who performed at the Love for Levon concert recall Levon Helm"
"Mike Gordon, Jakob Dylan Join Love for Levon Benefit"
Happy Birthday, Sister Maud Hudson! "Remembering Levon Helm: The Band's and Americana's True Great Spirit" -- cover story of the October issue of Modern Drummer. "Professor Louie and the Legacy of Rick and Levon" -- good interview with long-time The Band collaborator Aaron Hurwitz. "Garth Hudson, David Bromberg, John Prine, Grace Potter join 'Love for Levon' concert lineup"
From Rolling Stone: "Levon Helm Band Sets Date for Midnight Ramble Sessions Vol. 3" -- listen to the set's lead track, 'Same Thing'. Roger Waters(!) has been added to the line-up for the Love For Levon concert, October 3rd at the IZOC Center! "Roger Waters to show his 'Love for Levon' at Izod Center tribute concert" -- from the Poughkeepsie Journal. And we give you: The ultimate list of Band/Hawks concerts! Added the DVD Bob Dylan and The Band: Down in the Flood to the videography. Thanks to Niels from Denmark for the info. At last week's Americana Music Awards there was a tribute to Levon Helm. Musicians including Alabama Shakes did a cover of "The Weight" to close the show in honor of Levon. "Levon Helm and the Great River of American Music" -- obituary from realclearpolitics.com. For tickets and more information go to levonhelm.com. "Levon Helm and Songwriting: Larry Campbell and Robbie Robertson Weigh In" -- new article from American Songwriter. Three September 2012 concerts with Garth Hudson have been announced at garthhudson.com. "No False Bones: The Legacy of Levon Helm" -- American Songwriter cover story. From rollingstone.com: "John Mayer, My Morning Jacket, Ray LaMontagne to Play Levon Helm Tribute -- 'Love for Levon' lineup includes more than a dozen musicians performing October 3rd in New Jersey"
Legendary photographer Elliott Landy (Woodstock, The Band, Dylan, Janis, Hendrix ++) will be appearing onstage today, August 16th at the Norton Museum in Palm Beach Florida at 6:30PM, prior to a concert. Elliott will be interviewed about the 1969 Woodstock Festival and the Sixties music culture. A nice article/interview with Elliott about this event appeared in the Palm Beach Daily News. See also the press release from the Norton Museum for more info. 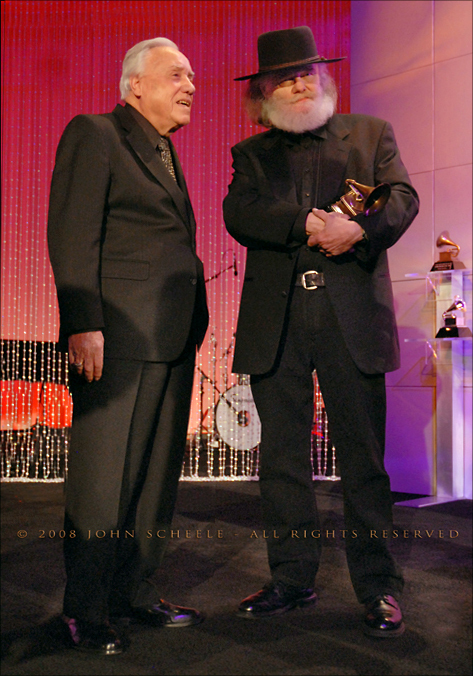 "For the past couple of months, I've had the amazing honor of spending time with rock legend Garth Hudson of The Band. I'm so happy to present this new article: A concert review, interview, and celebration of Garth's 75th birthday. Thank you so much to Garth & Maud Hudson for everything!" New photo added to the Band fans gallery: Gregorius from Holland (with a rather impressive tattoo of the boys). It's Garth Hudson's 75th birthday today! We send our best wishes to Garth and Maud. "A Legacy of Rambling: Music Is (Still) Alive and Well in Levon Helm's Barn"
"Special Friday event! August 10, 2012 - Jimmy Vivino presents The Band Songs - A Celebration of Richard, Rick, and Levon - Special guest Garth Hudson - with cohorts Jim Weider, Randy Ciarlante, and Byron Isaacs - Levon Helm Studios, Woodstock, NY - Tickets go on sale soon! Garth Hudson with Jimmy Vivino on Friday the 10th and/or Lucinda Williams with Larry Campbell on Saturday the 11th." New Midnight Ramble dates for August have been announced at levonhelm.com. "Grateful Dead's Phil Lesh lights up Midnight Ramble, Levon Helm fundraiser taking off"
From levonhelm.com: "Keep It Goin' -- please check it out and contribute if you can. "Levon Helm Studios launches fundraising effort to 'Keep It Goin'" -- from the Poughkeepsie Journal. Nice little review of Garth and Maud Hudson's concert in Sweden last month: "On the sixth day, I realize why I'm here" (Google-translated from Swedish). And another good review: "Jim Weider's Project Percolator with Garth Hudson, Iridium Jazz Club, NYC -- 6/23"
"London Music Awards -- Garth Hudson thanks the audience after being presented the Lifetime Achievement Award on Wednesday evening." 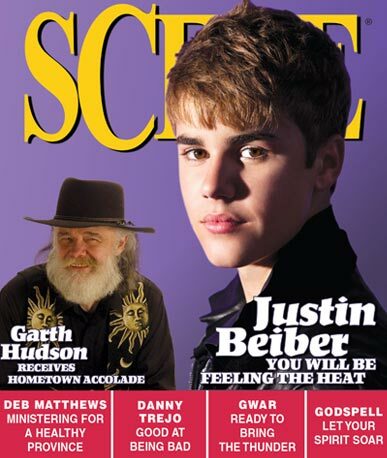 "Garth Hudson & Neil Diamond: Back2Back (sort of) in #ldnont"
From Ulster Magazine: "Life without Levon", pages 13-18. Thanks to Stu Hruska for the link. "In memory of Levon Helm, Ringo raises money for charities"
Two handsome guys on the cover of Scene magazine ("London's largest well-read newspaper"). Nice article about Garth, too. Check this out: Jim Weider (The Band) & Andy Powell (Wishbone Ash) Blues Rock Master Class, Bethel, CT, July 1, 2012. On April 19 came the news music lovers around the world feared, but still waiting for. Levon Helm, one of music history's greatest profiles and best-loved singers and musicians had left us after a long battle with cancer. In The Band, he created rock music that can not be done again. It was innovative and brilliant, yet always most animated and utterly timeless. Levon Helm was the drummer of The Band's three singers Bands. He became the third of the band members who left us too soon. Before Levon has Rick Danko and Richard Manuel said goodbye and leaving only two members, Garth Hudson and Robbie Robertson. Just days after Levons death met representatives of the Peace & Love and the little music company Rootsy on a mountaintop in Dalarna to discuss possible collaborations. What we came to talk about was, of course, The Band and Levon Helm. It is often where you meet if you love music. During that conversation the idea to celebrate the music and make it big. Later in the evening makes Texas band Deadman further than the splendid The Band-inspired concerts and suddenly it becomes clear. 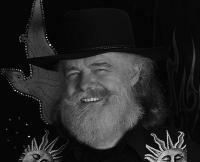 We invite The Band's keyboardist Garth Hudson to do a tribute concert in conjunction with Deadman and various special guests who may interpret The Band's tunes. Garth Hudson comes to Europe specifically for this show. He is one of rock history's true mysteries, and is considered as that of The Band, who lifted the music to the next level. The level of other bands dream of achieving. Garth was Levons closest friend and neighbor in Woodstock until the end. Both Danko and Manuel also stood near Garth and missing is still great. It is the longing that makes us the chance to present this exclusive tribute. A celebration of what we call "When The Music Is Not Forgotten." "Onward to Avalon" -- by Jeff Wasserman, in honor of Levon Helm. "Mountain Jam music festival to honor Levon Helm"
"Garth will receive the Lifetime of Achievement Award from the 2012 London Music Awards! Come celebrate in London , Ontario, Canada at the Wolf Performance Hall. Garth Hudson and Sister Maud Hudson will perform selections as will other local artists. We will be running all over town the preceding day. Give us a shout-out or say hello if you spot us! See Calendar for more information." More Jim Weider gigs this summer have been announced at jimweider.com. 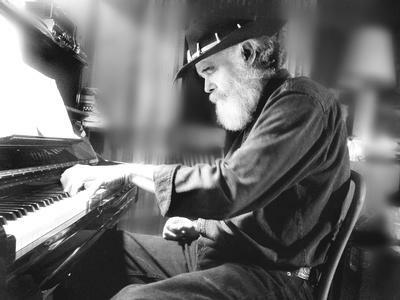 Garth Hudson will be playing with Jim Weider's PRoJECT PERCoLAToR at the Iridium Jazz Club in NYC on June 22 and 23, 2012. For tickets and more info, see jimweider.com. "Robert Pattinson Says He'll Be Starring In A Movie About Seminal Rockers The Band"
"Garth Hudson to Receive Lifetime Achievement Award from Hometown!" "We all feel the need to be together so we decided to host a show in honor of Levon's birthday on Saturday, May 26th at 8 p.m. at 'the barn'. We hope you'll join us. The detailed information and opportunity to purchase tickets will be on www.levonhelm.com ... tickets will go on sale at our website at noon tomorrow (Sunday)." "Legendary Bassist Donald 'Duck' Dunn Passes away at Age 70"
"Elmore's Kay Cordtz Remembers Levon Helm"
"Phil Lesh Dedicates New 'Ramble' Site to Levon Helm -- Grateful Dead bassist's new club inspired by late drummer"
The THE BAND Band is playing a special tribute show to Levon tomorrow night at BB King's in New York City. "Toast to Freedom with late Levon Helm"
Donald Fagen (and Ezra Titus): "Levon Helm, 1940 - 2012"
"Drummers lead Levon Helm to his rest"
"Rest in Peace, Levon: Music fills the air in Woodstock as Helm is buried"
"A Musical Son of the South Is Mourned in Woodstock"
"Helm to be buried today; 2,000 fans bid peace and farewell"
"Levon Helm to be buried next to Rick Danko"
"Arkansas Flag at Half Staff for Levon Helm"
"Levon's friends & fans are invited to pay their final respects on Thursday, April 26, 2012 between the hours of 10 a.m. and 3 p.m. at his home/studio in Woodstock. Personal vehicles will not be permitted at the studio, however. Parking will be available at 3 locations in Woodstock: The Woodstock Playhouse 103 Mill Hill Road, Woodstock, Cucina Woodstock, 109 Mill Hill Road and Andy Lee Field, Rock City Road, Woodstock. Buses will run continuously between 10 and 3 from Andy Lee Field and from The Woodstock Playhouse. Thank you, all, for your kindness and respect for privacy during this very emotional time." Poughkeepsie Journal: "Flags in Woodstock lowered to half-staff for Levon Helm "
"Days Gone By", Ronnie Hawkins with Rick Danko, Levon Helm and Garth Hudson, from 1995. Times Herald-Record: "Garth Hudson: Levon 'always came up strong'"
Alex Belth: "One Night Only"
Jonathan Taplin: "Let Us Now Praise Famous Men"
Jane Fonda: "Levon Helm, the Fabled Drummer with The Band"
The Globe and Mail: "What Levon Helm called rock'n' roll was deep-bottomed American music"
The Daily Telegraph: "Levon Helm"
Rick Hastings: "My memories of Levon Helm"
Seattle Post-Intelligencer: "In Passing: Levon Helm (1940 - 2012)"
The Australian: "Heartbeat and voice of Old Dixie in the Band that redefined American roots music "
Poughkeepsie Journal: "Elvis Costello, Wavy Gravy remember Levon Helm, a man with a small-town heart"
Christian Science Monitor: "Levon Helm and The Band: a rock parable of fame, betrayal, and redemption" and "Levon Helm: An appreciation"
San Francisco Chronicle: "Levon Helm: an appreciation by Joel Selvin"
The Atlantic: "Levon Helm Was Perfect"
Bellingham Herald: "Levon Helm earned his status as a revered figure in American music"
Alaska Dispatch: "Levon Helm and The Band: a parable of rock 'n' roll"
Vancouver Sun: "Levon Helm dead from cancer at age 71"
Washington Post: "Levon Helm, drummer and singer for The Band, dead at age 71"
Music Vice: "Levon Helm, 1940-2012"
Chicago Tribune: "Levon Helm, drummer and singer for The Band, dies of cancer"
NPR: "Levon Helm, The True Voice Of America"
Time: "Rambling On: Levon Helm, The Band's Drummer, Dies at Age 71"
Forbes: "The Hard-Won Lessons of Levon Helm's Life in the Record Business" and "This Mountain is My Home: Levon Helm and the Eternal Grit of the Creative Life"
The Tennessean: "Jeff Hannah of Nitty Gritty Dirt Band reflects on Levon Helm's influence"
Peterborough Examiner: "The Hawk sadly misses gifted musician Levon Helm"
jambands.com: "Levon Helm Remembered: When We Were Young Americans" and "Levon Helm Remembered: Recollections from a Ramble"
Columbus Dispatch: "Levon Helm 1940-2012: Singer, drummer gave Band special twang"
Elvis Costello: "Ramble On, Levon"
Greg Quill, The Toronto Star: "The Band's Levon Helm dies at 71"
The Independent: "Levon Helm: Drummer and soulful singer at the heart of The Band "
The Toronto Sun: "Musicians mourn Levon Helm"
Rolling Stone: "Levon Helm, Drummer and Singer of the Band, Dead at 71"
BBC: "The Band's Levon Helm dies at 71"
Los Angeles Times: "Levon Helm 'one of the last true great spirits,' writes Bob Dylan"
WAMC Radio: "Stephen Davis - Remembering Levon Helm"
Matt Satterfield: "A Tribute to Levon Helm"
Austin 360: "Levon Helm: 1940-2012"
No Depression: "Levon Helm Leaves Us, But His Spirit Lives On"
The Week: "Levon Helm leaves Woodstock a little bit less... Woodstock"
The Irish Times: "Levon Helm: An appreciation"
Slate: "The Last Waltz: Levon Helm hated Scorsese's film, but he made it worth watching." The Daily Beast: "'Dirt Farmer,' Levon Helm's Overlooked Gem"
NPR: "Levon Helm: The 2007 Fresh Air Interview"
The Bradenton Herald: "The Band's Levon Helm has died"
The Guardian: "Robbie Robertson seeks reconciliation at Levon Helm's sickbed"
Bobby Martin: "'And all the people were singing!'... Thank you Levon Helm"
Sterling Whitaker: "Levon Helm in memoriam (1940-2012)"
examiner.com: "Nils Lofgren remembers his friend Levon Helm"
Harold Lepidus: "I shook the hand of Levon Helm (Rest in peace, Levon)"
The Wall Street Journal: "Levon Helm Dies at 71: Truly One of a Kind"
Time Entertainment: "The Last Waltz: A Look at Levon Helm's Greatest Performance"
Garth Hudson: "Levon Helm left us..."
Amy Helm: "Dear friends. I lost my father today....he passed peacefully, surrounded by friends and family..."
Bob Dylan: "In response to Levon's passing"
Randy Ciarlante: "The world was a much better place with Levon Helm in it, yesterday it lost one of it's true shepherds..."
Bill Clinton: "I was saddened to learn of the death of my fellow Arkansan Levon Helm...."
Indiewire: "Martin Scorsese Reacts to Levon Helm's Death"
Bluegrass Today: "Levon Helm, friend of bluegrass, passes"
CTV: "Ronnie Hawkins remembers happy times with Levon Helm"
Los Angeles Times: "Levon Helm: Joe Henry remembers 'a deacon who spoke our gospel'"
The Times Herald-Record: "Levon Helm, 1940-2012"
Paste Magazine: "54 Musicians Remember Levon Helm"
Bernie Taupin: "Levon Helm 1940-2012"
Peter Stone Brown: "And the Band Played On: Farewell to Levon"
Arkansas Times: "Ronnie Hawkins and others remember Levon Helm "
The Daily Freeman: "World Has Lost a Great Musician: Levon Helm Dies after Cancer Battle"
From Paul Unwin, in memory of Levon: "A Meeting with Mr. Helm"
Wolfgang's Vault: "Levon Helm -- Dirt Farmer, American Minstrel"
Billboard: "Levon Helm of The Band Is Dead at 71"
Slade Sohmer: "Love For Levon: Eulogizing The Man, The Band"
The Daily Beast: "Levon Helm of The Band: Obituary"
The Boston Examiner: "The Heartbeat of The Band Stops"
The New York Times"Levon Helm, Drummer and Rough-Throated Singer for the Band, Dies at 71"
CBC News "The Band's Levon Helm dies at 71"
The Guardian: "Levon Helm obituary"
The Weekly Standard: "Honoring Levon"
Rock Turtleneck: "R.I.P. Levon Helm: They Should Never Have Taken the Very Best"
The Telegraph: "Levon Helm: The Band star loses throat cancer battle aged 71"
Poughkeepsie Journal: "Levon Helm: 'Truly an Angel'"
We're sorry to report that The Band web site went off-line at 5am this morning, due to an overloaded server and a worn-out webmaster. We'll be restoring it over the next hours and will also do some much-needed cleaning-up in the archives. 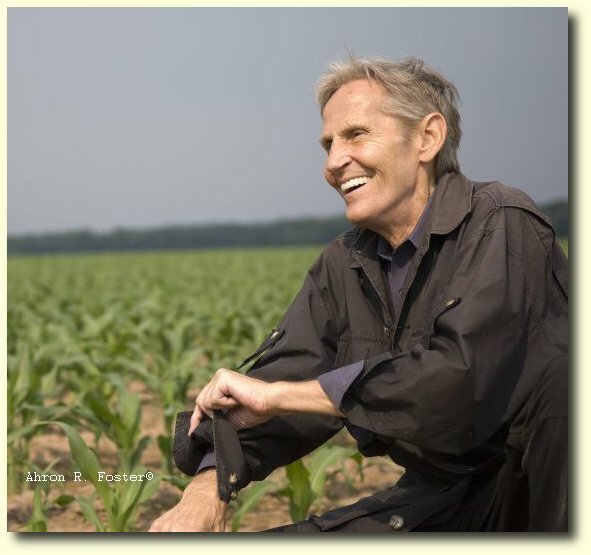 The Toronto Star: "Levon Helm, of The Band, dies at 71"
"Levon Helm passed peacefully this afternoon. He was surrounded by family, friends and band mates and will be remembered by all he touched as a brilliant musician and a beautiful soul." Poughkeepsie Journal (audio): "Journal Arts Writer John Barry and Radio Woodstock's Greg Gattine discuss Levon Helm"
Huffington Post: "Levon Helm: A Thank-You Note For The Music -- And The Example"
CBC Canada: "Garth Hudson reacts to Levon Helm's struggle with cancer"
Rolling Stone (photos): "Levon Helm Through the Years"
No Depression (videos): "Celebrating The Music Of Levon Helm"
Forbes: "A Drummer Who Could Make You Cry: The Genius of The Band's Levon Helm"
Esquire: "Whip to Grave: Levon Helm, the Real Voice of America"
CBS News: "Levon Helm being read online dedications while in final stages of cancer battle"
On Sunday I went to New York and visited him in the hospital. I sat with Levon for a good while, and thought of the incredible and beautiful times we had together. It was heartwarming to be greeted by his lovely daughter Amy, whom I have known since she was born. Amy's mother, Libby Titus, and her husband, Donald Fagen, were so kind to help walk me through this terrible time of sadness. My thoughts and prayers are with his wife Sandy. Levon is one of the most extraordinary talented people I've ever known and very much like an older brother to me. I am so grateful I got to see him one last time and will miss him and love him forever." "An Interview with Levon Helm, March, 1981", by Peter Stone Brown. "Gimme Five: Celebrating Levon Helm, co-founder and voice of the Band "
We just nominated Rick Danko, Garth Hudson and Richard Manuel to be Canada's Walk of Fame inductees. You can nominate at canadaswalkoffame.com. "Earl Scruggs, Bluegrass Pioneer, Dies at 88"
Added chords (two versions) for "Driftin Away". "Quick Hits: An Interview with Levon Helm" -- video published this Friday on PBS. On the rather inexpensive 67-track iTunes version of A Musical History, the tracklisting is quite different, disc 1 and the DVD are completely absent, and also tracks with Dylan and others are omitted, but it includes a previously unissued(?) live version of "I Shall Be Released." The 2003 collection Rock & Roll with Piano Volume 6 includes "Rosie Lee" by Paul London & the Capers, with Garth Hudson. 26 years ago, on March 4th 1986, we lost the great Richard Manuel. Too soon gone. "Three In A Row CD combo" -- get all three of Levon Helm's Grammy winning CDs: Dirt Farmer, Best Traditional Folk Album 2007; Electric Dirt, Best Americana Album 2009; Ramble At The Ryman, Best Americana Album 2011. Levon received A+ "rating" from Doctors yesterday! Woo-hoo! He'll be back in action at the March 10th Ramble. 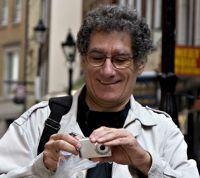 "The Midnight Ramble - January 21, 2012" -- review by Adam Betley. "A conversation with Jim Weider, master of the Telecaster" -- from Roll Magazine. 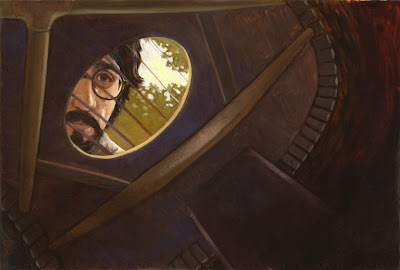 Check out jimweider.com: Jim Weider master class/Project Percolator shows in March! Plus loads of gigs this spring with Levon's band. Levon Helm wins Grammy for "Ramble At the Ryman"!! You want to see this: "The Band Live at Watkins Glen" -- 10 minute film based on Pat Brennan's Super-8 recordings from the 1973 festival. "Levon will be undergoing a medical procedure that will necessitate his absence from the February 11th, 18th and 25th Rambles. We wish him the best and we know he will have a speedy recovery. We'll continue with the normal Ramble schedule with special guests joining the band. Those guests will be announced shortly." Best of luck from us at The Band web site to Levon Helm, hope to see you again at a Ramble in 2012. From our friend JT, with help from Tim Woods++: Band gigs 0.11.